As a native of Poteau, I graduated from Poteau High School in 1974. I Attended Carl Albert State College, University of Arkansas, and received my BA in English and Journalism from Northeastern State University. 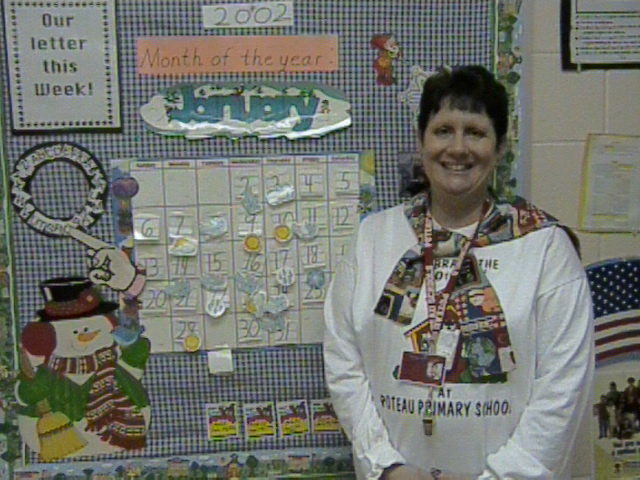 I have a Masters degree in Elementary Education and I currently teach T-1 at Poteau Primary School. I have been teaching in Poteau Schools for 25 years. My husband, Pierre, of 29 years teaches ESL (English as a second language) at Darby Jr. High in Ft. Smith, Arkansas. We have two sons, Nic and Ryan. Nic (22)is a Senior at UCO and Ryan(17) is a Junior at PHS.